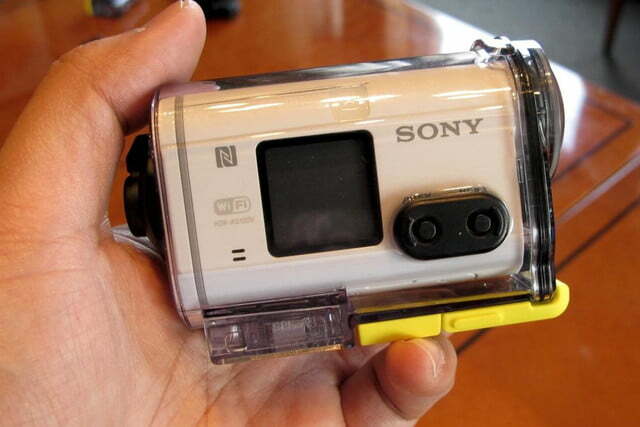 Sony isn’t going to let GoPro hog the entire POV camera market all to itself. 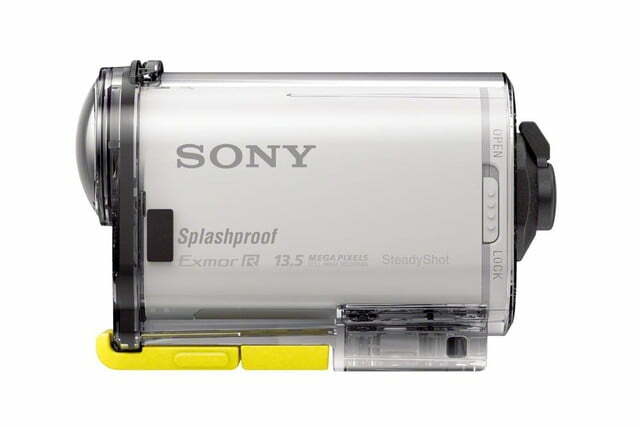 The company has announced a new high-end version to its lineup of action cams that doesn’t require an underwater housing if you’re using it poolside or at the beach, as well as improved specs that give GoPro some competition (on paper, at least). 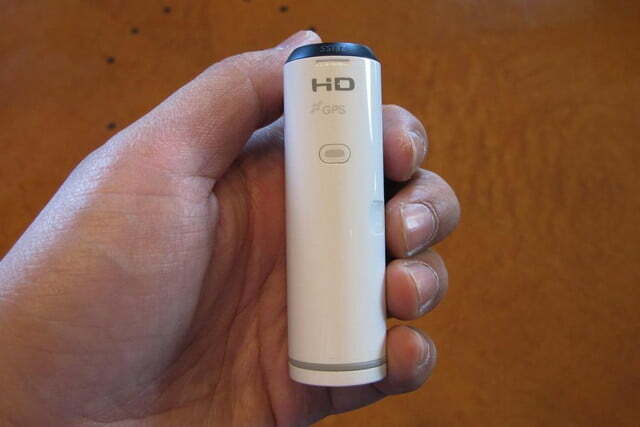 The HDR-AS100V records Full HD video at 24p, and although the form-factor has the same look and feel as previous models, there are improvements. 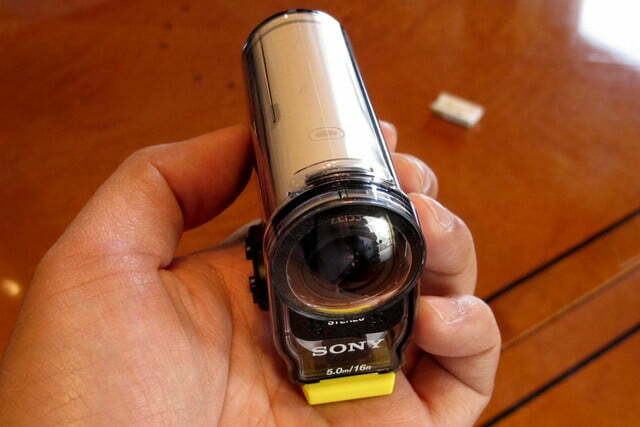 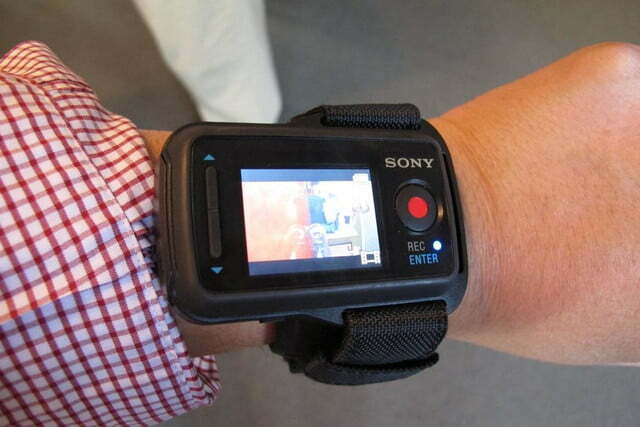 We had a chance to look at the new camcorder and besides the white casing, it looks like previous Sony Action Cams. 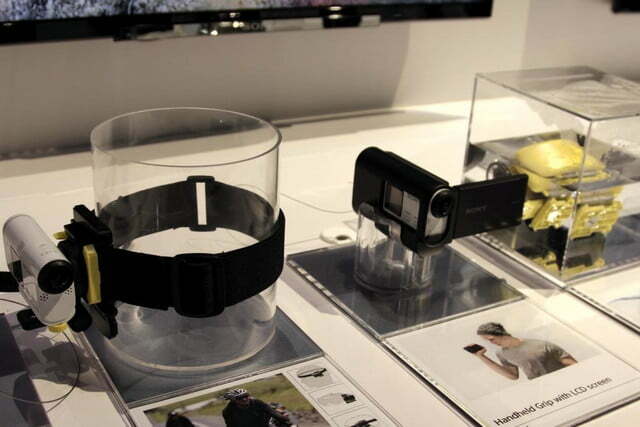 It’s incredibly lightweight, especially without the housing. 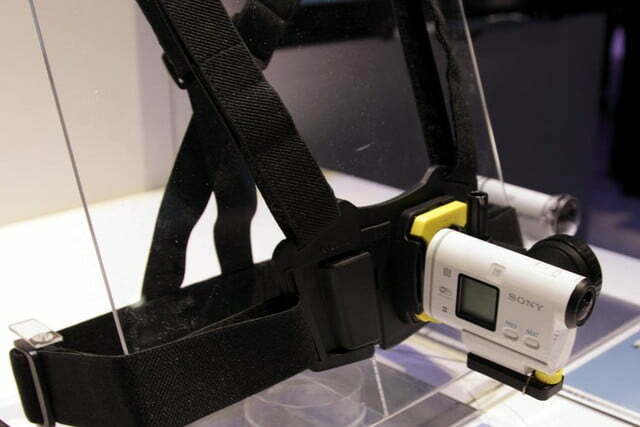 Unfortunately, we weren’t able to record or view any footage (except the post-produced ones Sony showed at CES, which looked great), so that’ll have to wait until later. 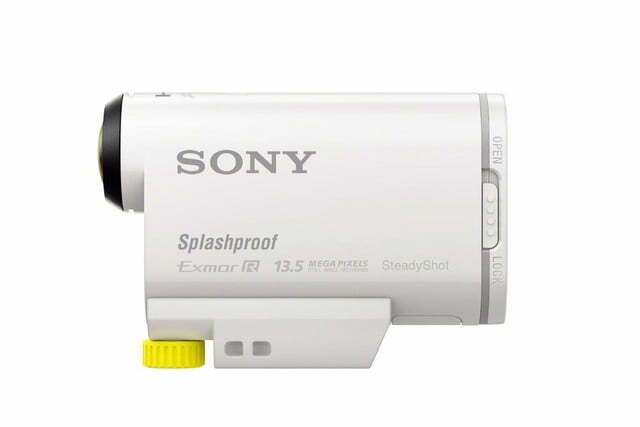 With the Bionz X image processor onboard, the AS100V can handle broadcast-quality Full HD in the XAVC S codec, at up to a high 50Mbps bitrate (XAVC S, a consumer version of the XAVC codec for 4K/HD, is also used by Sony’s new 4K Handycam). 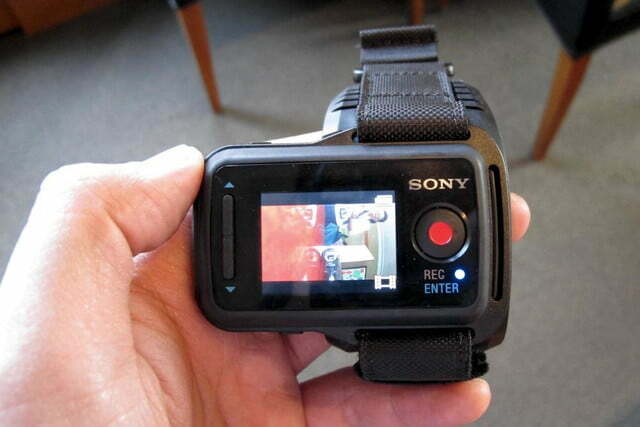 While it doesn’t shoot 4K like the flagship GoPro Hero3+, the AS100V can shoot smoother 1080 video. 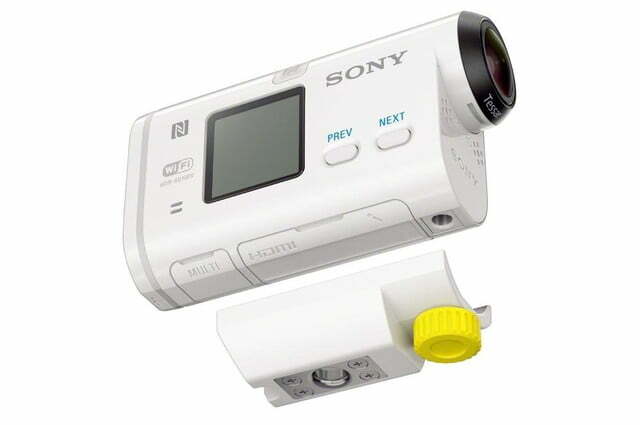 (The camcorder also records to MP4 format for easier Web uploads.) 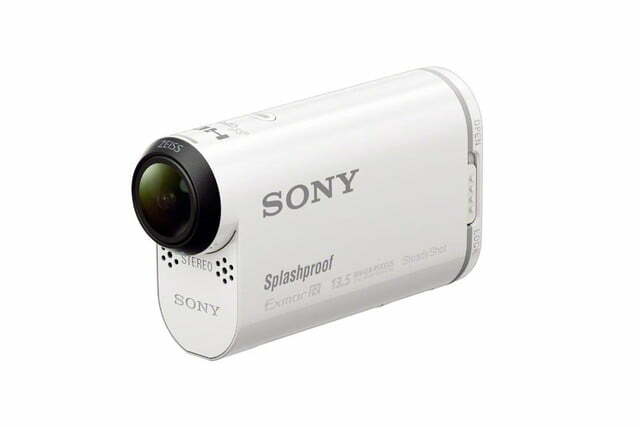 If you like to shoot slo-mo videos, the camcorder can do that in 720/120p or 720/240p. 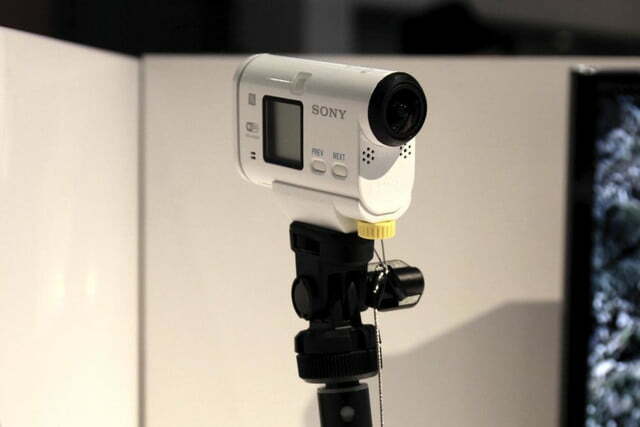 Sony says the image quality has also been improved – it shoots 13.5-megapixel stills and 2-megapixel time-lapse photos. 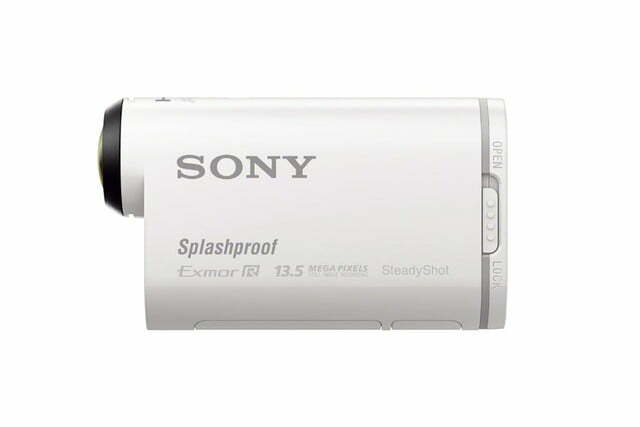 Other features include improved image stabilization; an ultra-wide 170-degree Zeiss Tessar lens (120 if you turn on stabilization), which Sony says has 30-percent high resolution while reducing aberrations; and a 16-18-megapixel Exmor R sensor. 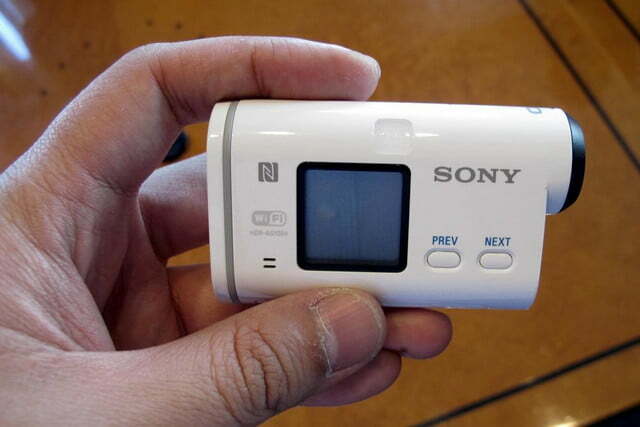 Wi-Fi/NFC lets you upload videos and photos via smartphone (Android and iOS), or pair with the optional wristwatch-style Live View Remote; there’s also GPS for geotagging. 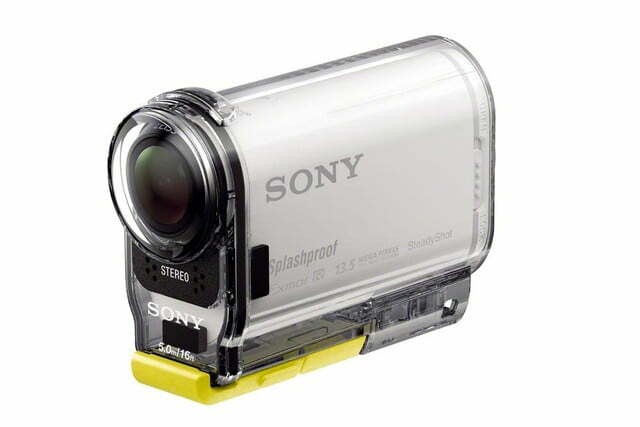 Whereas the older Sony Action Cams required an underwater housing for use in rain or snow, the AS100V has a splash-resistant casing that’s fine for general use. 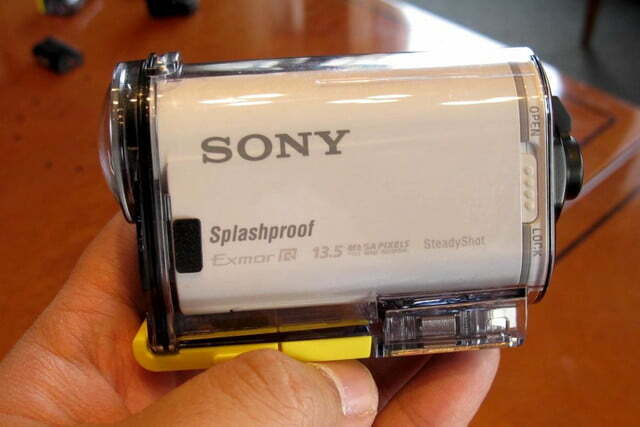 However, it’s best to use the supplied waterproof housing should if you see yourself dunking this camera into water or snow for long periods of time. 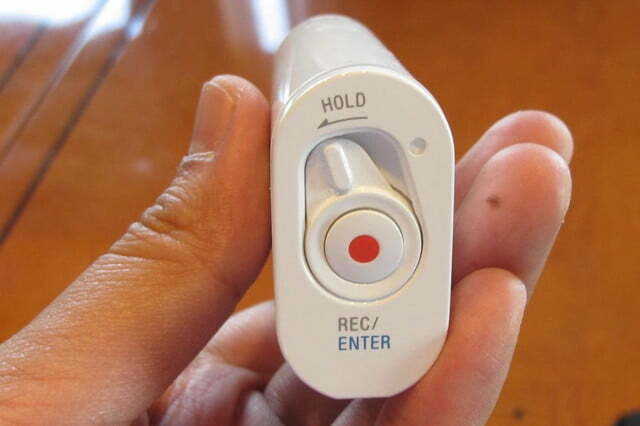 For videos, you can choose different color settings such as “neutral” and “vivid.” There’s also time code recording if you’re shooting with multiple cameras; you can control up to five camcorders using the Live View Remote. 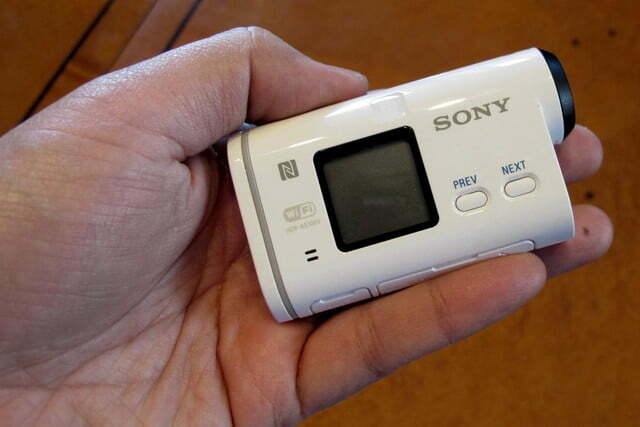 This summer, Sony has plans to update the AS100V with live-video streaming to smartphones, and add burst shooting with 13.5-megapixel images. 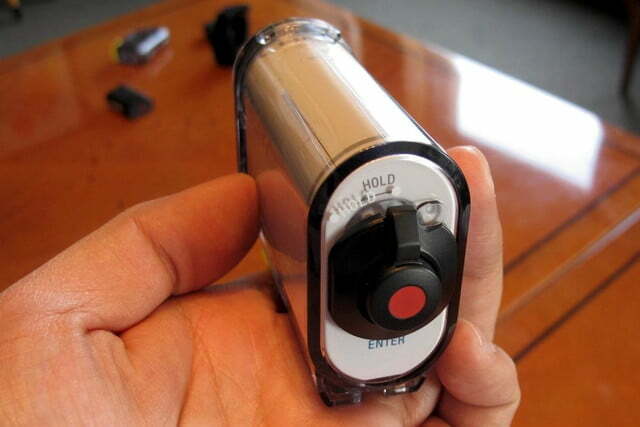 There are also a variety of mounts available, including a new tripod adapter that’s included. 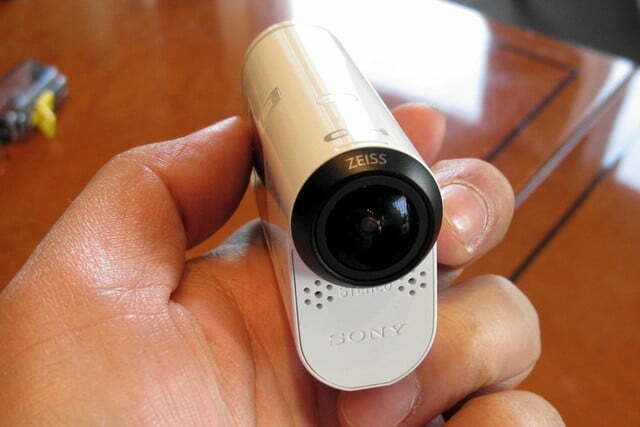 The camera is available in March for $300, or $400 bundled with the Live View Remote.